Last night, after dining with legendary translator Gregory Rabassa and his most lovely wife Clementine in the heat of our New York Summer, we needed to find a place where we could process all that we had seen and heard. Professor Rabassa had been lively and witty, full of praise for Proust, Thomas Mann, and of course, his beloved Julio Cortazar. Clementine had been funny and full of life; she’d recommended the film America, America and shared stories from her family’s New York past. Over tempura and sushi, we had shared much, learned much, listened much. After we said our good byes, we needed to sit and reflect. We needed to find an oasis that would invite us in and allow us to discuss the truly special event we’d just experienced. Clementine Rabassa had spoken about her time in Paris, and we were inspired to continue our Parisian nostalgia. Walking across 72nd St, we got an idea. We’d seen Anthony Bourdain visit Bemelmans Bar at the Carlyle Hotel and were interested to check out this literary spot. Cozy, quiet, and historic, Bemelmans Bar features the only public artwork of Ludwig Bemelman, the author and illustrator of the famous Madeleine books. 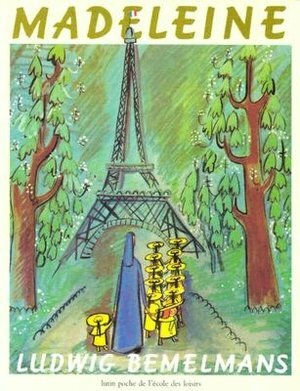 In Ludwig Bemelman’s stories, Madeleine is quite the Parisienne. Never frightened, and always très à la mode in her uniform, Madeleine showed young girls everywhere a heroic life of bravery and adventure. Tucked into their beds, countless girls throughout the world have dreamed of Paris after listening to a bed time story that began with the words, “In an old house in Paris, that was covered with vines, lived twelve little girls in two straight lines… the smallest one was Madeleine.” Madeleine was our Parisian counterpart, our favorite literary character. At Bemelman’s Bar, the mural, Central Park, depicts rabbits smoking cigars, Madeline and her 11 friends in two straight lines, summer tea parties, and snowy winter scenes. This bar is a place for nostalgia, a place to forget your worries, a place to be inspired. It may be one of the most expensive cocktails you will ever order, but the experience is worth it. Order a martini, appreciate the extra liquor they give to you in an iced carafe, and wander. Examine the mural, soak in the ambiance, sip your beverage, listen to the sounds of cocktails being stirred, and pause. This is New York, and every moment, every adventure (heroic or otherwise), is to be treasured in this City of Dreams. 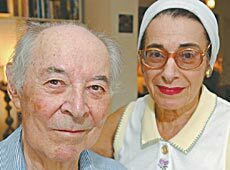  Archived in Best Places to Drink in New York City, Book Recommendations, Iconic Literary Men, Must Visit NYC and tagged bars, Books, children's books, hotels, literature, Ludwig Bedelman, Madeline, NYC, The Carlyle Hotel. Bookmark the permalink.